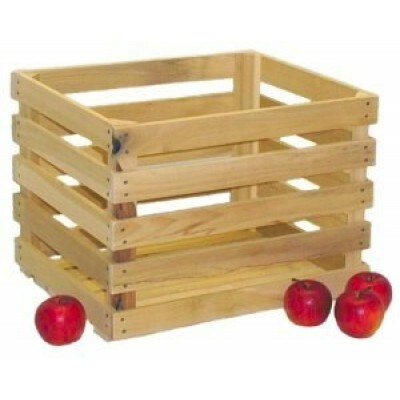 Unstained Apple Crates - Colonial Trading Co. 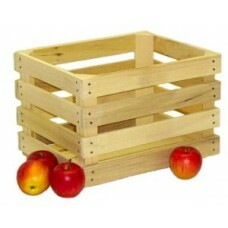 These Unstained Apple Crates are made from local Eastern PA Poplar wood. The logs are cut locally and we air dry the lumber. The slats are fastened with a full round head steel nail. Since poplar comes in a variety of colors, from light blonde to green and purple, each crate has its own character. 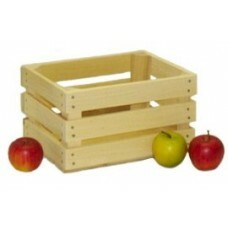 Most of the wood is a pale yellow or light green. If allowed to weather, over time they will fade and turn light gray, if exposed to significant weather. 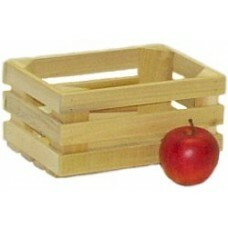 You can stain them, paint them, or leave them "natural". If you want a weathered look, allow them to weather a bit, and then apply a clear coat. Ready to stain, paint, or just leave unfinished and allow to weather.